Jasna Čapo Zmegač is a senior research fellow at the Institute of Ethnology and Folklore Research in Zagreb and adjunct professor at the University of Zagreb. She has a multi-disciplinary background in ethnology, cultural anthropology, demography and French literature. She studied at the University of Zagreb before doing her MA and PhD at Berkeley. She was a postdoctoral fellow in Strasbourg and Vienna, a Humboldt Fellow in Munich and Berlin, and a visiting fellow at various European universities. Her current research interests are in the field of anthropology of migration, especially forced and labor migration, and the politics of identity construction in diaspora settings. 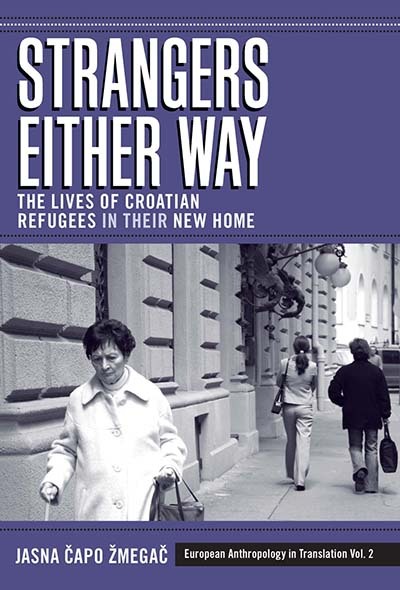 Her recent publications include the co-edited volume (with C. Voß and K. Roth) Co-ethnic Migrations Compared: Central and Eastern European Contexts (Munich: Kubon & Sagner, 2010), as well as refereed articles and chapters published in English, French, German, Croatian, and other European languages. Before the migration: "There was money! What a life! Real life!" The leaders' dilemma: equal citizens or a "sect of Srijem Croats"
Antagonism between "the established" and "the outsiders"
To take the standpoint of the researched or not?